I recently graduated from Adelaide City Council’s Community Leaders Program, part of this involved a number of team projects, one being promoting changes in travel behavior – the goal was to encourage people to walk or cycle in Adelaide (CBD). Apparently around 220,000 vehicles drive through/ into the city each day. 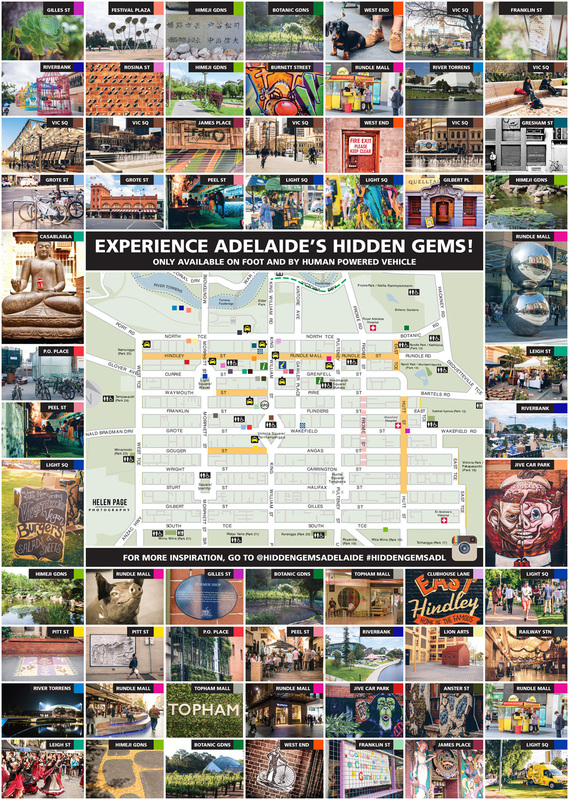 The task of finding Hidden Gems in Adelaide was rather large and so a map was created with images (all by Helen Page Photography) as a sample of what could be found – sure some you might see in a car, but you get a much better view if you walk!